The unveiling of the Apple Watch was one of the highlights of Apple’s recent event centered on the introduction of the iPhone 6 and iOS 8. Rumors of the smartwatch — usually tagged with the iWatch moniker — appeared in various technology media sources for the previous year. Now with an actual device slated to hit the market early in 2015, let’s take a closer look at the Apple Watch to see if it makes sense to add one to your own arsenal of mobile devices with bandwidth speed. Someday soon, you may be able to check your Internet bandwidth using your watch! Apple’s smartwatch announcement revealed that a processor known as the S1 would power the Apple Watch. Cupertino remained tight-lipped regarding any other Apple Watch specifications. The truth on specs may not be known until shortly before the device is released next year. Various tech media pundits predict the first Apple Watch will come armed with 512 MB of RAM and 4 GB of flash memory. There may be other models with extra storage up to 8GB, but since the device must be tethered to an iPhone 5 or newer, additional storage on the watch itself doesn’t make much sense. Battery life is also a worry with the smartwatch, and no one at the recent Apple announcement had anything to say about how long the Apple Watch lasts between charges. You might have to charge it every night while you sleep. 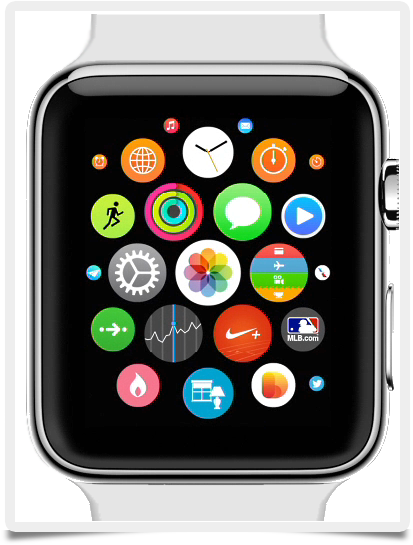 The Apple Watch’s built-in sensor array includes a heart rate monitor and other ways of checking your daily activity. Because of this hardware, expect the smartwatch to pair nicely with Apple’s new HealthKit app in iOS 8. Other apps are slated to include smartwatch versions of popular mobile apps to check your stocks, sports scores, travel information, and maps. One of the difficulties for Apple in convincing consumers to purchase an Apple Watch is that the smartwatch still needs to use an iPhone 5 or 6 as a tether. Is the added convenience of having information delivered in a wrist-accessible format worth the price of a both a smartwatch AND a smartphone? Expect the smartwatch market to truly take off once these devices can function without a smartphone partner. In short, if you are interested in smartwatch, be it the Apple Watch or models from Motorola or Samsung, let the market mature for at least one year to get the most bang for your dollar. This is an area of mobile technology where it might not be the best call to be an early adopter.